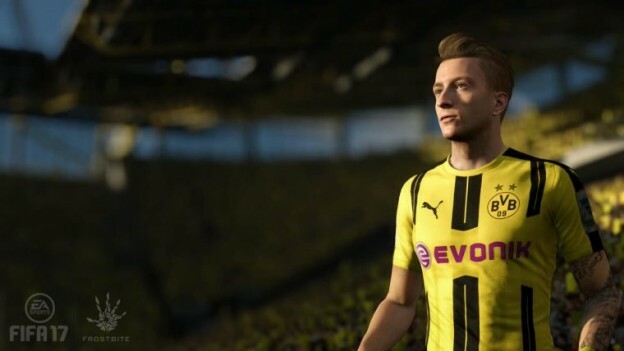 FIFA 17 releases in late September and with this comes a lot of questions about which aspects of your FIFA Ultimate Team transfer over from FIFA 16. The most common questions relate to the transfer of coins and players. We’ll explain logically why EA do not allow these items to be transferred. Unfortunately FIFA 17 carryover items do not include coins. Very frustrating for those that have stockpiled millions towards the end of FIFA 16, but why not? If users could transfer coins from FIFA 16 to FIFA 17 then it would cause massive fluctuations in the market. The FIFA 17 Ultimate Team Transfer Market will be its own economy, where the supply and demand for coins and cards dictate prices. The ability to transfer FIFA 16 coins to FIFA 17 would therefore create an unfair playing field. EA carefully control the market throughout the year to ensure there isn’t prolonged periods unrealistic inflation or deflation. We suggest you take your trading knowledge and really use it to your advantage during FIFA 17 webstart, that’s our plan anyway. 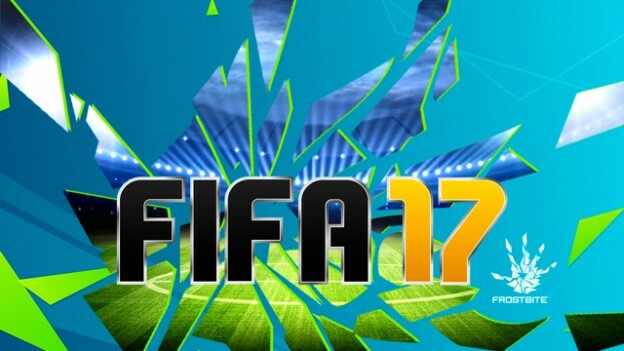 Players (including loans), staff, club items and consumables will not be FIFA 17 carryover items. Unfortunately these would also give an unfair advantage and would cause chaos on the transfer market. That being said, you will still be able to create a squad of players from your previous FUT clubs and share them with your friends. This feature is called ‘Generations’. Unfortunately you cannot play FIFA 17 with your old squad in any game mode. Your hard effort to get to division one, along with your record and leaderboard status will be wiped for FIFA 17. For many of you, that may be very much welcomed, especially with the pretty much confirmed rumours circulating of the FIFA 16 Chemistry glitch. This glitch basically rendered all non day one cards irrelevant as they were not receiving full chemistry. We’re assuming somewhere around 4/5 chem as that’s their default. This results in in-forms, transfers and upgrades not performing as well as their stats suggest and also to that of their lower rated counterparts. This may have lost you quite a few games, damaging that pristine record you once had. We’re in no doubt that this will be fixed for FIFA 17, but definitely shouldn’t have gone unnoticed in the first place. We’re saving our FC credits from now as the items you purchase in the catalogue do not transfer over to FIFA 17. 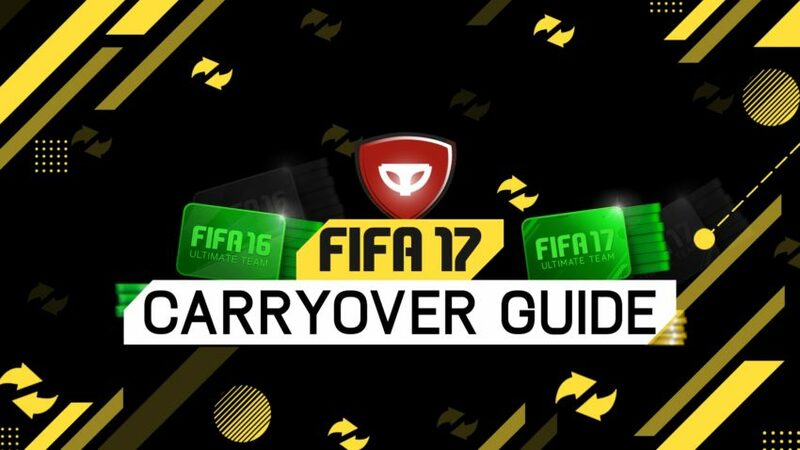 As previously mentioned there will be key items available in the catalogue that will help catapult your FUT 17 journey. With FIFA 17 set to drop in stores late September, we now reveal one of the biggest draw-dropping stats for the new release – the highest rated cards in the game. 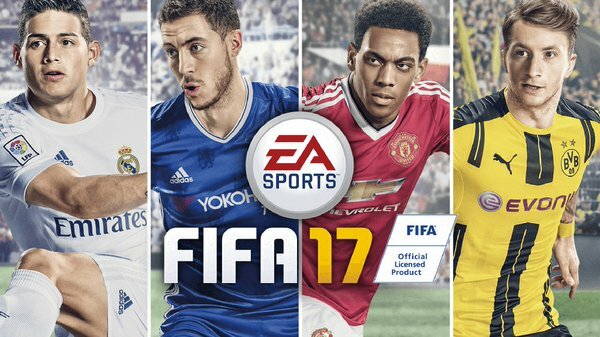 Gamers have been eager to get a sneak peak at FIFA 17 player ratings. We currently have some insight into the potential ratings for the top three players in FIFA 17. 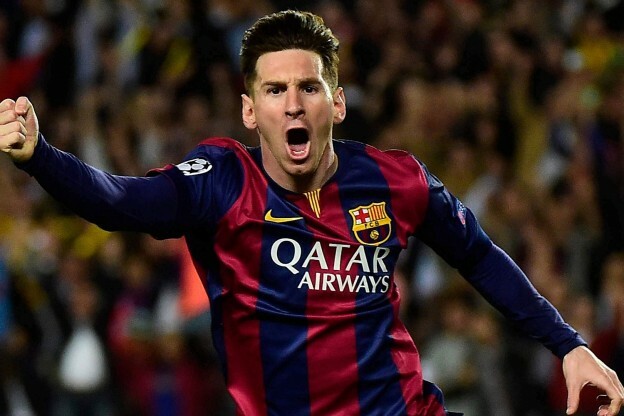 We understand that Messi, Ronaldo and Luis Suarez will have the highest rated cards in the game. These are going to be the three players that everyone look at, with the inevitable debate about to happen again on if Ronaldo should have a higher rating than Messi for FIFA 17. 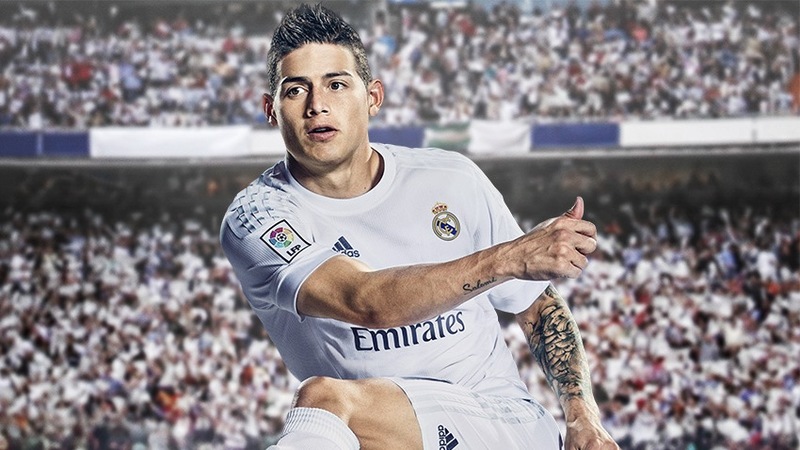 It’s worth pointing out that Messi’s contract with EA appears to have run out, which is why we see four new stars being promoted with the game launch – Rodriguez, Martial, Reus and Eden Hazard. Will this have a bearing on his FIFA 17 rating though? According to YouTuber Fuji who has come up with these nice designs as well as rating, Messi will once again be 94 rated in FIFA 17. 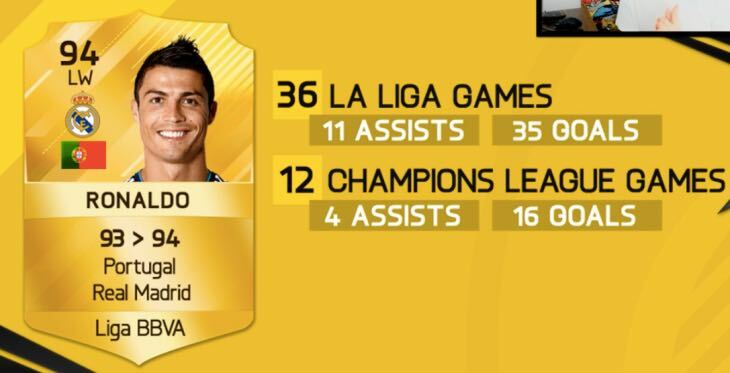 Staying on the fence, we also see Ronaldo’s rating in FIFA 17 at 94 as well, which is a +1 upgrade from his FIFA 16 rating which we can definitely see happening. The big one though is Luis Suarez who is undoubtedly going to get a massive upgrade after an amazing season with Barcelona. Suarez shipped with a 90 rating in FIFA 16, but in this prediction we see a 92 rating which would be nice if it happened. As FIFA 17 lead gameplay director Aaron McHardy says, the game took more than three years to develop. 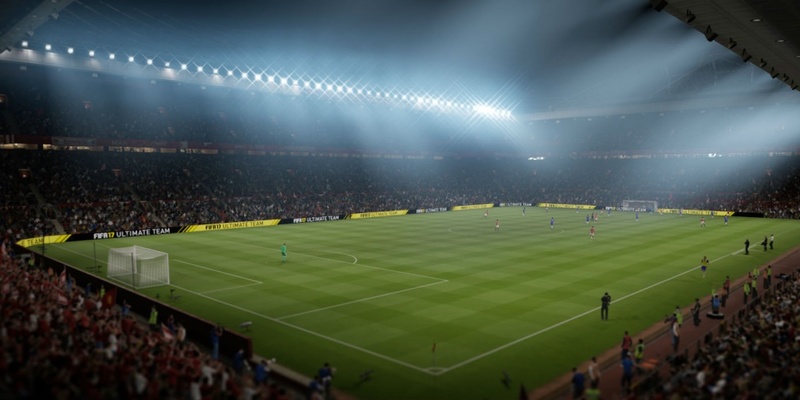 And this means that fans can expect the biggest and most in-depth FIFA game yet. McHardy revealed that FIFA 17 will include a cinematic story mode known as The Journey, where players take on the role of aspiring soccer star Alex Hunter. 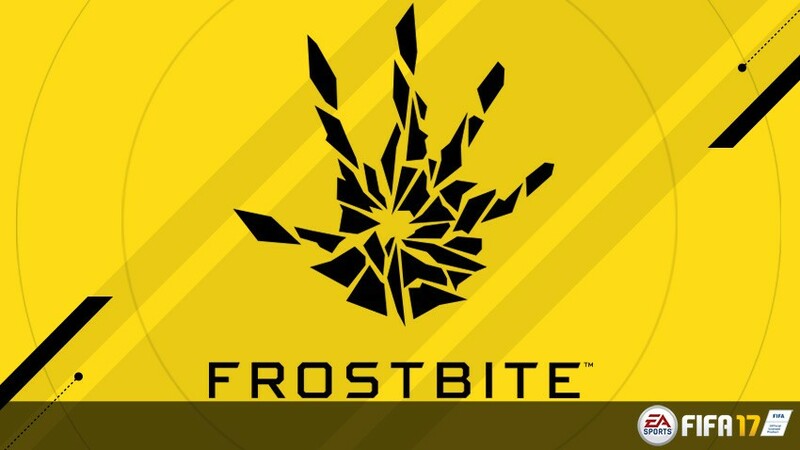 The game will also be running on the company’s patented Frostbite game engine. In a recent interview with Daily Star, McHardy went into great detail about how the Frostbite integration affected the game. He said developers were in awe at how FIFA 17 looked and played as compared to FIFA 16. In FIFA 17, gamers will be able to see the density in the pitch, as well as experience the 3D nature of the environment. Additionally, the AI will be smarter this time around, which means gamers will be challenged more than before. Gotta Be Mobile reported that each player has a better understanding of the field. When one player has the ball, his teammates will automatically move to open spots to receive the pass. FIFA 17 will also include stunt runs, fake runs and new physics for dribbling, defending and trapping. 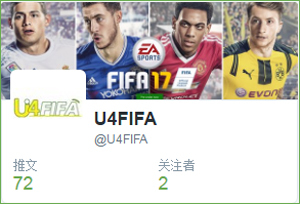 According to Games Radar, FIFA 17 will feature 18 teams from Japan’s J1 league. Each team will have accurate and up-to-date logos, kits and rosters. FIFA 17 will release worldwide on PS4, PS3, Xbox One, Xbox 360 and Microsoft Windows on September 29, 2016. 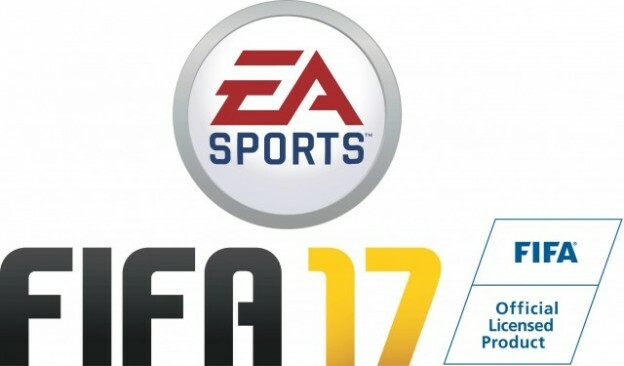 When EA Sports announced “The Journey” for FIFA 17, some people thought it was going to replace the “Be A Pro” mode. EA Sports has noted that both modes will be in the game so you don’t have to worry about anything being erased. Game Reactor interviewed Matthew Prior at E3 2016 and he is the creative director for FIFA 17. He confirmed that both modes will be in the game so you don’t have to play as Alex Hunter all of the time. The Journey is a new mode for the FIFA franchise as it allows you to play through a cinematic story of a rookie becoming a pro. This is similar to the NBA 2K series, but in 2K’s game you are able to create your own player instead. FIFA 17 will be out on September 27, 2016 for the PC, PS4, Xbox One, PS3 and Xbox 360. The PS3 and Xbox 360 versions won’t include “The Journey” game mode. 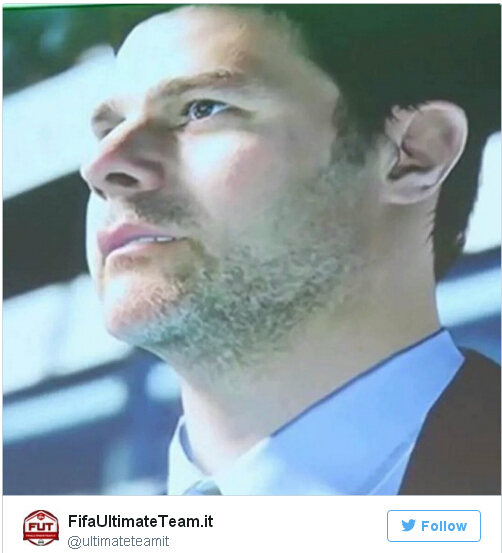 Managers will feature on FIFA 17, EA Sports confirmed last week as part of their trailer teaser release. Their presence will add more authenticity to an already outstanding football simulation, with the latest instalment to go on sale this Autumn. Above is a shot of Tottenham Hotspur head coach Mauricio Pochettino as he will feature in the game, which shows just how realistic their graphics are. 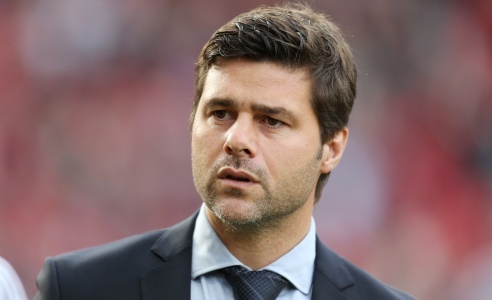 nately for EA there is little question of Pochettino leaving Tottenham at any point over the course of the season, although the constant managerial changes in the Premier League could provide a challenge over the next year. 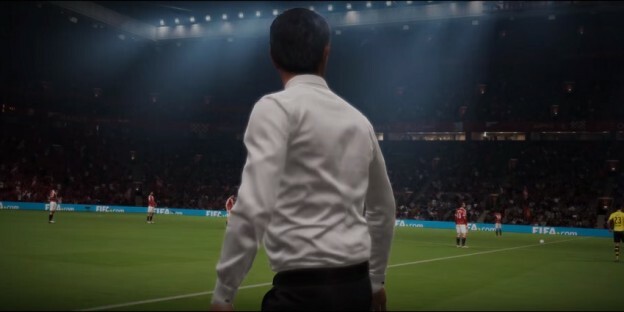 The manager’s roles will come into their own in the new Journey mode feature, which allows gamers to control the progress of a young talent called Alex Hunter, right down to how he trains, answers questions in press conferences, and interact with their boss. Two of the consultants on the feature are Tottenham stars Dele Alli and Harry Kane… who no doubt will have given their own insights on their gaffer to make the game as realistic as possible. We have already given you an insight into the new 2016-17 home kit for Liverpool FC which will be featured on FIFA 17, but now it’s time to take a look at the away kit. 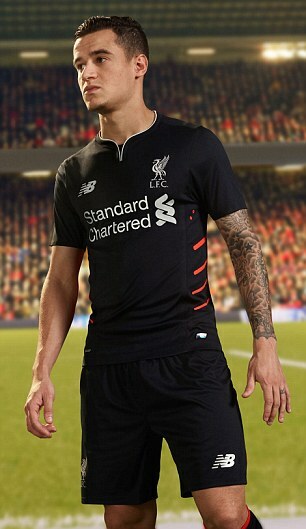 The kit, produced by manufacturers New Balance, is black, with white trim and red detail on the sides. It’s the kit that will be worn when Liverpool begin their 2016/17 Premier League campaign away to Arsenal on the opening weekend. The club have just confirmed the official LiverpoolFC away kit for 2016-17, so now we know the other kit that EA will make available on the game this September as well. 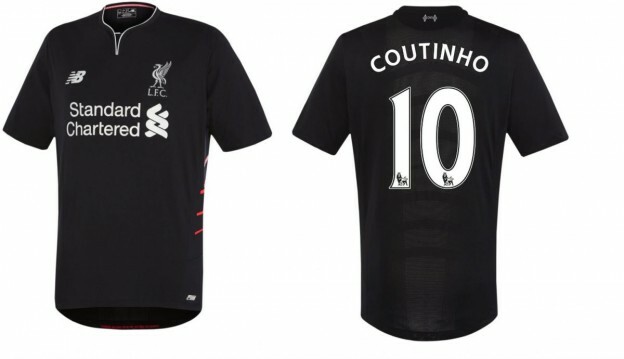 Once again, it’s going to be a black kit and you can see a high quality image of it below thanks to the official Liverpool website which has just gone live with the news. This is going to be the kit that will also be available on FIFA 17 Ultimate Team, where you’ll be able to buy this kit from the transfer market, or get them inside packs if you are lucky enough. What are your thoughts on the design, will you be using this kit when playing as Liverpool on FIFA 17? 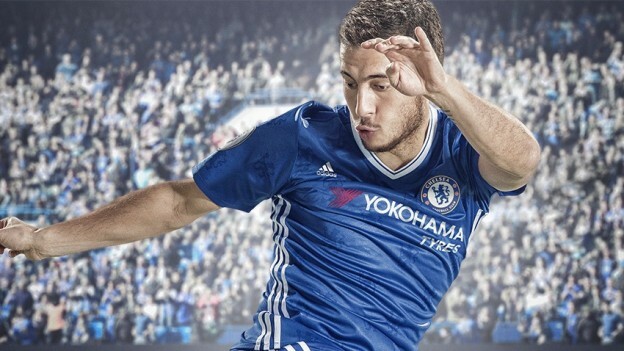 Leave a comment below if you want us to show you other new kits for next season that will be featured on FIFA 17. Everyone knows that with the fifa 17’s release, FIFA consistently has an amazing soundtrack and we’re expecting the same reaction to the new FIFA 17 Soundtrack! 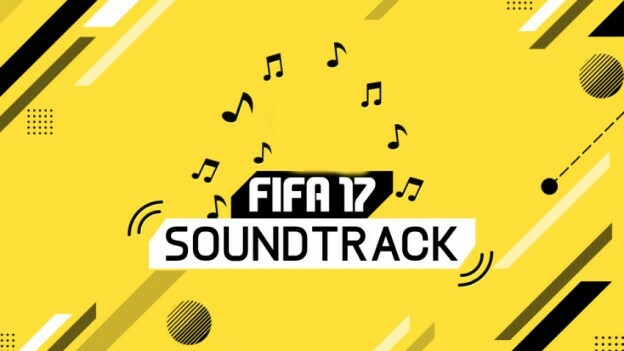 Although it’s still early days and FIFA 17 songs are yet to be confirmed, the very first song has been confirmed via the FIFA 17 Gameplay Trailer. And we will upgrade the FIFA 17 soundtrack. Let’s hope EA have listened to all your wishlists! As the songs and artists are confirmed, we’ll add them in below! Now please listen the Chariots- Paper Route (FIFA 17 Official Soundtrack). As seen in the FIFA 17 game play trailer.